A new study finds many pharmacies in California don’t offer the opioid overdose antidote naloxone without a prescription, even though state law has allowed pharmacists to furnish naloxone without a physician’s prescription since 2016. Researchers conducted an anonymous telephone survey of some California pharmacies, with interviewers posing as potential customers who asked pharmacy staff if they could get naloxone without a prescription. Fewer than 25 percent of about 1,100 retail pharmacies said they were giving naloxone to patients without a prescription, HealthDay reports. Of the pharmacies providing the medication, only about 50 percent had nasal naloxone in stock. 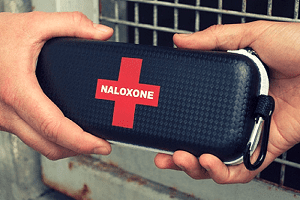 Lead researcher Talia Puzantian of the Keck Graduate Institute School of Pharmacy and Health Sciences in Claremont, California, said pharmacists need to be taught about the law allowing them to give patients naloxone without a prescription. They also need to have the drug on hand, she added.